Formulated to prevent wear and tear and the resulting debris, MC1+ stops magnetite and other deposits forming. As it does this, it protects the central heating, keeping the boiler working efficiently and helping to ensure the system lasts for longer. MagnaClean® is an excellent product. I recommend it to every customer. 500ml of MC1+ treats 125 litres or 15 single panel radiators. 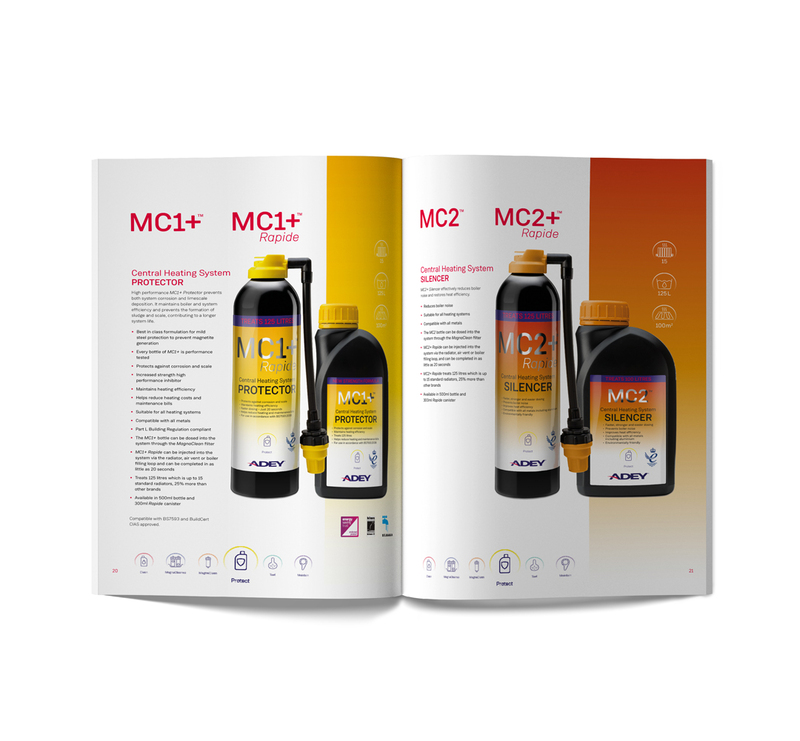 To introduce MC1+ into the system we recommend using the MagnaClean® canister to dose the system. Alternatively dose via a radiator or the F&E tank. MC1+ levels should be checked regularly during annual system service, or following any system maintenance requiring full or partial drain-down. Do not use in single feed indirect cylinders. Also available in the following sizes: 300ml, 5L, 10L, 25L 200L and 1,000L. Use our savings calculator to see how much ADEY could save you. Enter a few details about your home, click a button and we’ll tell you how much our products could cut your heating bill by. ADEY’s award-winning range of chemicals keep heating systems running smooth and efficiently saving time and money. Get straight to the products you need in a few clicks. Simply tell us about the property type and size. We’ll give you a list of the best ADEY products for that job and where to find them. Magnetite is the biggest cause of central heating system breakdowns, hands down.